You would imagine that Beijing, Shanghai, Hong Kong or one of many other cities might top China’s list of richest cities. But you’d be wrong. 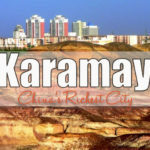 China’s richest city is in a place you would least expect…in Xinjiang. In a Desert. 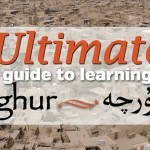 If you have the chance to study Uyghur while living in Xinjiang…consider yourself lucky! There is no better way to pick up a language than through immersion, so take advantage of your time in the province. 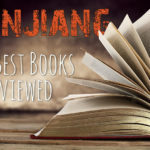 But…what are the best places to study Uyghur in Xinjiang? From city guides to souvenir guides. From maps to hotel recommendations. Everything you need to plan your Xinjiang travel is here. 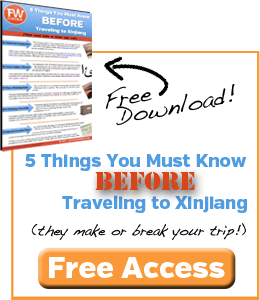 Free Download “5 Things You Must Know Before Traveling to Xinjiang”! Get Free Instant Access to this useful resource by entering your name and email below. 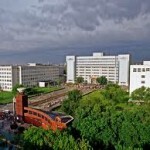 You’ll also receive monthly travel updates, exclusive offers and travel tips.